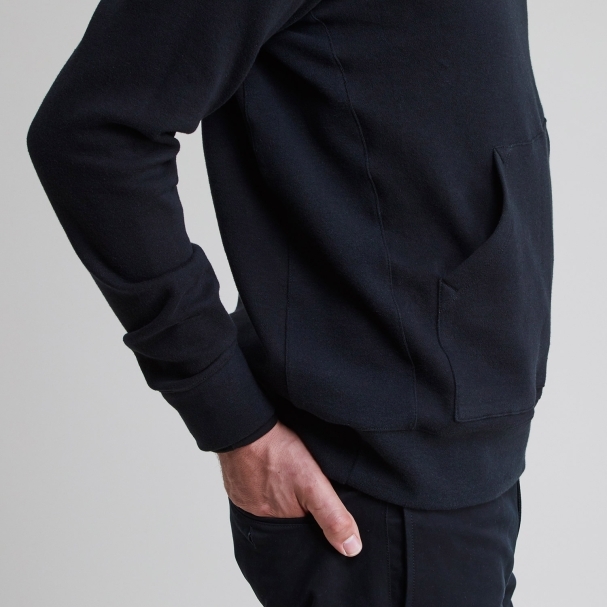 A design that aims to elevate the hoodie into fashion. 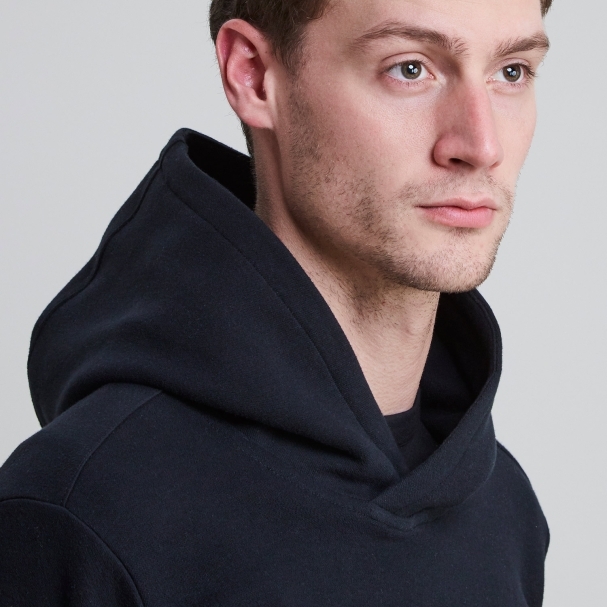 Maintaining street and workwear elements - the distinct element that separates this hoodie is its voluminous hood. 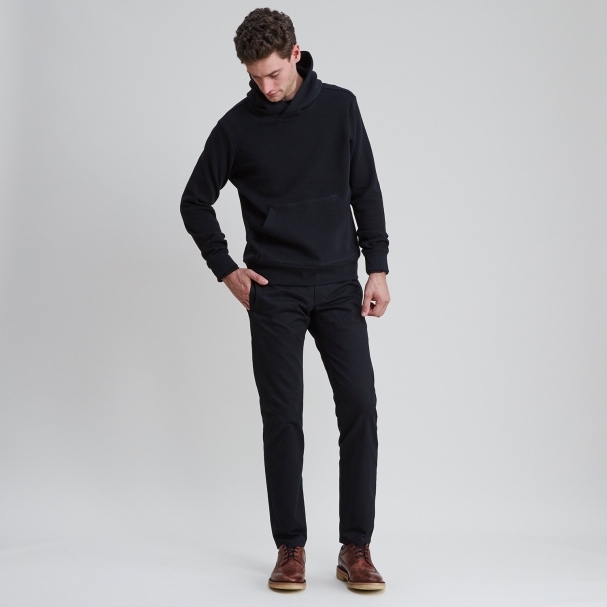 An ideal weight for indoor/outdoor wear. 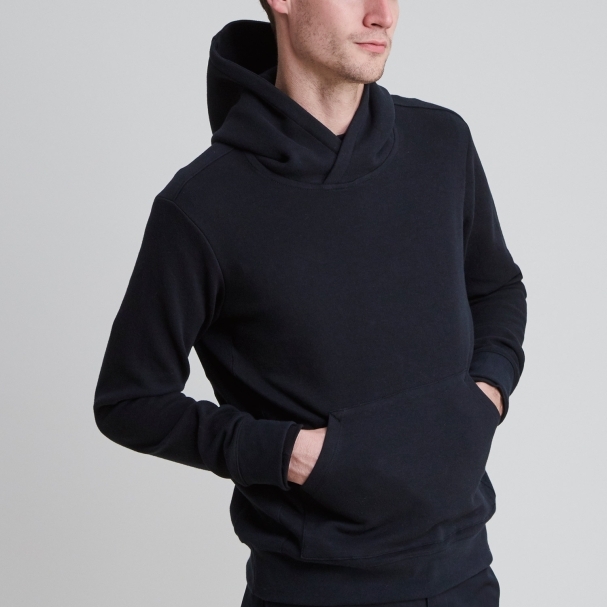 Side panels add comfort when pulling the hoodie on and off.